Located in the scenic Santa Ynez Valley in California, Solvang is a beautiful wine country getaway featuring unique architecture, historic attractions, antique shops and museums. Visit Old Mission Santa Ines, tour the Wildling Art Museum, see a performance at the Solvang Festival Theater, and admire vintage motorcycles at the Solvang Vintage Motorcycle Museum. Best things to do in Solvang, California with kids include Hans Christian Anderson Park, the Solvang Trolley and the Elverhoj Museum of History and Art. Old Mission Santa Inés is a beautifully restored Catholic Mission established in 1804 and one of the top Solvang attractions. Through its 210-year long history, the mission suffered natural disasters, financial hardships, political turmoil, social upheaval, a rebellion, decay and neglect before undergoing several bouts of restoration and repair and becoming one of the real gems of California Missions. The mission was originally established to integrate the Chumash People of the Santa Ynez valley into the way of life of Spain. Today, Old Mission Santa Inés is the guardian of a rare collection of art - paintings, vestments, statuary, artifacts, and manuscripts. The mission has an active parish, and you can come for a mass in English or Spanish or you can join a docent-led tour of the mission treasures. The Solvang Festival Theater is a community-based theater dedicated to promoting and supporting quality live performing arts and entertainment. Built in 1974, the theater’s first performance was ‘Once Upon a Mattress’ and has been providing the community with outstanding theater shows, concerts and performances ever since. The theater has also been used for a variety of fundraising concerts, including jazz and comedy festivals, featuring famous artists like Crosby and Nash, Bonnie Raitt, Jim Messina and Tommy Castro. If you are looking for unique things to do in Solvang with kids, family-friendly events at the theater include ‘Family Night at the Theater’ and the famous ‘Sunday Jazz in the Garden’ series. The beautiful theater has a range of modern facilities, including an outdoor 700-seat amphitheater, backstage dressing rooms, restrooms, and staging area and can be rented for private events. 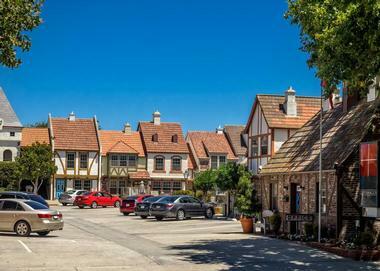 The Elverhøj Museum of History and Art is dedicated to collecting, preserving and exhibiting Solvang’s rich history and Danish culture of arts and crafts, and is one of the best things to do in Solvang, California. 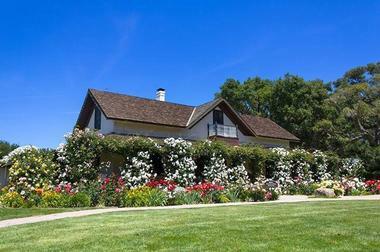 Housed in the former residence of one of Solvang’s most artistic families, the historic hand-crafted structure was built by Viggo Brandt-Erichsen. The Elverhøj Museum is a community-based museum that presents the colorful heritage of Denmark, the Danish-American pioneer spirit and the Danish devotion to the arts. The building is a work of art in itself with elements of Scandinavian architecture, ornamental wrought ironwork and hand-painted panels and wood carvings. The museum hosts a variety of exhibitions throughout the year, as well as education-based classes, arts and crafts workshops and Danish-influenced events for children of all ages. The Wildling Museum of Art & Nature was founded in 1997 by Artist and conservation advocate Patti Jacquemain with the aim of inspiring the community and visitors to value, conserve and enjoy wildlife and nature through art. Using art as a tool to educate and inspire people to better understand and care for nature’s dwindling natural and wilderness areas, the Museum has hosted more than 40 highly successful art exhibitions, education programs, trips and tours and continues to do so today. The Wildling Museum’s collection is small and diverse and features works by nature photographers such as Jeff Jones, Ines Roberts, Richard Salas and Roger Craton, as well as oil paintings by celebrated painter John Fery. Other artists featured in the museum include Lockwood de Forest, Russell Chatham, Everett Ruess and Ray Strong. 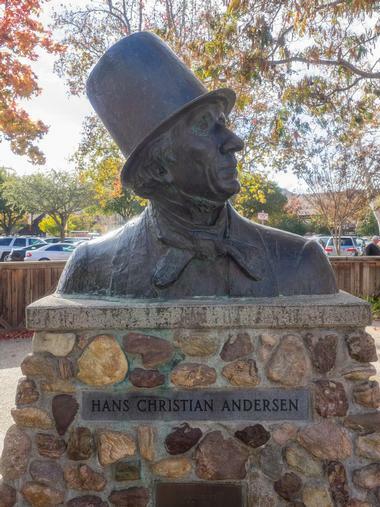 The Hans Christian Andersen Museum is dedicated to the understanding and enjoyment of the famous author Hans Christian Andersen and his world-renowned works. Located on the upper level of the Book Loft Building, the Museum features an array of exhibits that document Andersen's life and work. Exhibits explore the unrequited love he had for "the Swedish Nightingale" known as Jenny Lind, showcase models of his childhood home and characters from his books like "The Princess and the Pea" and display first and early editions of his stories. Visitors to the museum can enjoy a variety of activities, including guided tours, mini-lectures and Hans Anderson parties and festivals. Nestled among the oak-dotted rolling hills of Ballard Canyon, Rusack Vineyards is a boutique winery and vineyard that produces world-class wines. Owned by Geoff and Alison Rusack and managed by winemaker Steven Gerbac, Rusack Vineyards, whose label is a Catalina tile symbolizing ‘the beauty of what arises from blending craft, earth, art and family’ boasts a beautiful setting in which to enjoy picnics and wine tastings. A contemporary tasting room features an extensive redwood deck constructed around four beautiful ancient oaks where visitors can taste some of the estate’s finest vintages against a backdrop of stunning vineyard views. Relax on the oak-shaded deck while sipping Rusack’s award-winning handcrafted wines and enjoy a homemade picnic which can be ordered on site. 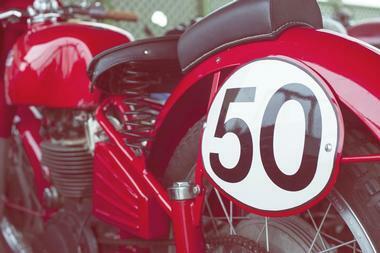 Located in the former Solvang Designer Outlet Center, the Solvang Vintage Motorcycle Museum is home to a private collection of rare and vintage motorcycles and European race bikes. Owned by Virgil Elings, the motorcycles in the museum are from his private collection, which took twenty years to put together and features a variety of rare and vintage models. The museum features rotating exhibits every month to maintain constant change and is home to a selection of British, Japanese, European and American racing bikes from the 1900's until present day, with names like Ducati, BMW, Triumph, Gilera, and Velocette. Hans Christian Andersen was a great Danish writer of fairytales many of us grew up with. 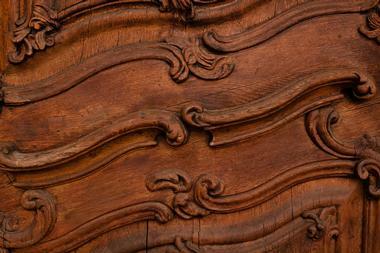 So, it is natural that you enter the park with his name through a fairytale castle gate. The park is an enchanting world of fun for kids of all ages under the shade of huge live oak trees. If you are wondering what to do in Solvang with kids, this is a great place to visit. There is a skate park for winter fun and just behind it a small playground for the little ones. A few more playgrounds are scattered around, one of which features three levels that allow kids to climb all the way up and then slide into the soft grass. There is a climbing wall for more adventurous children and a music-making machine that produces old-fashioned chimes just like in fairytales. Parents can rest at one of many picnic tables scattered around the area. Make sure to stock up on wonderful Danish pastries before coming to the park; Solvang has several great options. Take a step back in time and experience Solvang on a historic horse-drawn trolley ride through the streets of the town. Owned and managed by the Orona family, the Solvang Trolley & Carriage offers visitors rides in a unique Danish conveyance known as a ‘Honen’ or trolley, which is pulled by two teams of healthy Belgian horses named Rita, Claire, Stella, and Coco. 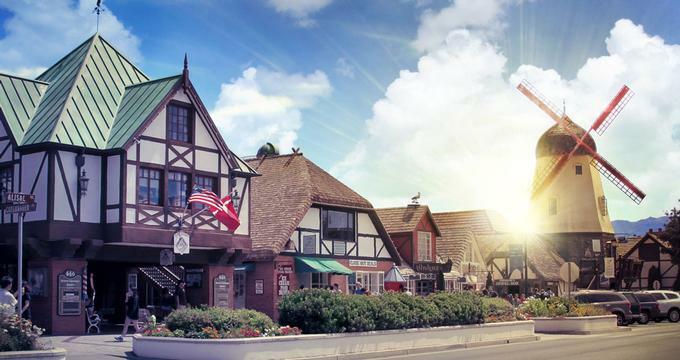 Dressed up in traditional Danish attire, the Orona family takes guests past some of Solvang’s most famous landmarks, sharing their extensive knowledge and passion about the history of Solvang and the Santa Ynez Valley. The horse-drawn trolley rides the same route daily, depending on traffic, can seat up to 20 riders and boasts fabulous wrap-around view of the sights. Tucked away in the hills between the towns of Buellton and Lompoc in Santa Barbara County, Lincourt Vineyards, is a family-owned and operated wine estate that produces, markets and distributes highly-acclaimed handmade wines. Owned by the Foley Family, the winery overlooks the Alamo Pintado Vineyard in the Santa Ynez Valley and is surrounded by rolling lawns and vineyards, beautiful gardens and picnic grounds, making it the ideal base for a day of wine tasting and relaxing. One of the old farmhouses from the estate’s dairy farm days has been converted into a rustic and charming tasting room where visitors can sample the liquid delights of the winery. Lincourt uses sustainable methods for farming, winemaking, and business practices and produces some of the country’s finest wines. 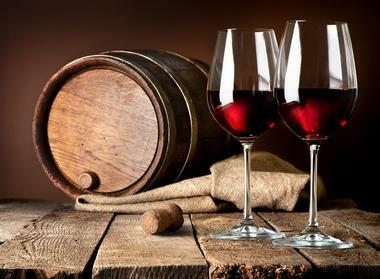 Sevtap Winery’s motto is “Drink Good Wine” and visitors are treated to doing just that when they enter the tasting room. Founded by owner and winemaker, Ertugrul “Art” Sevtap, Sevtap has grown from eight-barrel operation to a 2,500 cases-a-run business within five years and has a loyal customer following. Even though Sevtap does not distribute their wines, the winery’s finest wines are showcased in the vibrant tasting room, which frequently also features live music and art shows, movie nights, and parties. Taste some of Sevtap’s fine wines in this fun-loving, happy environment. Resting at the gateway to the beautiful Santa Ynez Valley, Shoestring Winery is a family-owned and operated winery that specializes in Pinot Grigio and Sangiovese varietals. Owned by Bill and Roswitha Craig, Shoestring’s portfolio of wines is hand-farmed and hand-crafted, ranging from light and refreshing Pinot Grigio and traditional French-style Rosé to award-winning Sangiovese and oak-barreled Merlot. 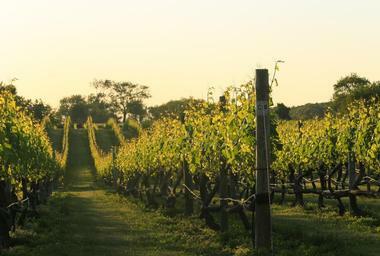 Shoestring Winery is open to the public for tastings and wines can be bought on site or online. The Winery also caters for special events, with a catered western-style barbecue overlooking the vineyards and groves of olive trees. 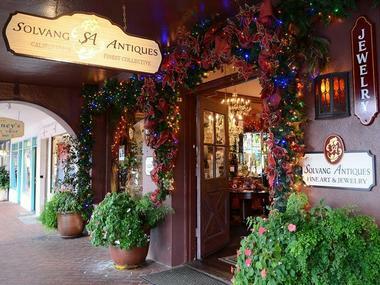 Located in the heart of the shopping village on Copenhagen Drive, Solvang Antiques is the Santa Ynez Valley’s largest and most prestigious antique shop and features a variety of hand-curated antique and vintage decorative and specialty items. Owned by Dwight and Arlene Steffensen, the world-renowned store has something for serious collectors and casual browsers alike from porcelain, cut glass and silver to estate jewelry, fine art, and sculpture. Solvang Antiques offers a computerized inventory control system with dealers around the world sourcing the best pieces, knowledgeable and service-oriented staff and a worldwide delivery service. The store is also home to the Solvang Antiques Fine Art Gallery, which boasts over a thousand square feet of fine antique art and revolving exhibits of contemporary artworks from the Judith Hale Gallery. Solvang Antiques is open seven days a week. Located on Alamo Pintado Road in the Santa Ynez Valley, Blackjack Ranch Vineyards and Winery is an award-winning wine estate that produces varietals of Syrah, Merlot, Cabernet Franc, and Chardonnay. Owned by Roger Wisted, the Ranch is named after he won a game of Blackjack which enabled him to pursue his lifelong dream of planting a vineyard and building a winery. 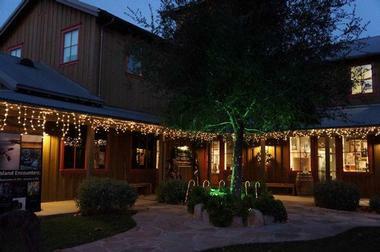 The winery produced its first vintage in 1997 and the Tasting Room opened two years later, allowing visitors to taste and experience the excellent wines produced by the farm. Designed with a California-rustic feel, the tasting room features a temperature-controlled wine cellar which houses wines from California and France that date back 60 years and a bar that was built from a salvaged bowling alley lane from the old Solvang Bowling Alley. Caravintas Winery is a family and pet-friendly winery and tasting room that welcomes wine lovers and their children and pets. One of the winery’s main aims is to give back to the community and they do this by giving a portion of their profits to non-profit groups such as Best Friends Animal Society, Return to Freedom, and other animal shelters. Caravintas wine labels are all designed with wildlife and nature scenes and they happily accommodate both animals and children in their family-friendly tasting room, which features a unique children’s play area with puzzles and games, dog beds, water, and treats for the furry friends and a relaxed, laid-back ambiance. Caravintas produces a range of whites, reds, and sweet wines, all of which can be tasted and enjoyed in the tasting room. Set amidst the beauty of Santa Barbara County's Santa Ynez Valley, Buttonwood Farm Winery and Vineyard is a spectacular 39-acre vineyard that is home to over 33,000 vines. Founded by Betty Williams as a working farm based on good farming practices for people, animals, and the earth, Buttonwood Farm began planting vines in 1983 and now produces an array of whites and reds, from the small special release of Grenache Blanc to the distributed bottles of Cabernet Franc. The farm is surrounded by homegrown bounty from the earth, including summer vegetables, olives, peaches, pomegranates and herbs, and visitors can enjoy sampling the fine wines to be produced from this little slice of heaven with a classic wine tasting in the tasting room or in the gardens with a picnic. Explore the beautiful Santa Ynez Valley without the stress of having to drive yourself with a Solvang Taxi and Wine Tour. Locally owned and operated, Solvang Taxi and Wine Tours offers first class taxi services, customized private wine tours, exclusive wedding transportation and delivery service throughout the region. Boasting expert knowledge on local wineries, restaurants, hotels, and attractions in the greater Santa Ynez Valley, this ‘transport concierge’ company will take you to your destination safely and securely. 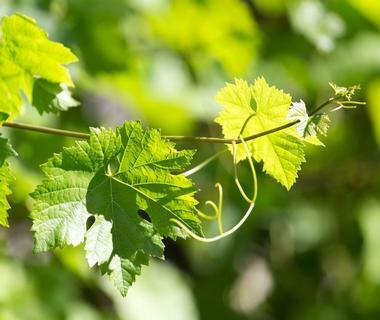 Venture to a few of the valley’s excellent wine estates for a day of wine tasting, enjoy a game of golf at the Alisal Guest Ranch Resort golf course, or spend the day fishing on Lake Cachuma. Solvang Taxi and Wine Tours also offers airport transfers in luxury, air-conditioned vehicles. Founded in 1997 by Iris Rideau, a native from New Orleans, Rideau Vineyard is an award-winning wine estate dedicated entirely to Rhône grape varietals. Located on Alamo Pintado Road, the winery is surrounded by majestic oak trees, manicured gardens and lush landscapes, all of which contribute to the old world French Victorian feel of the estate. Visitors to the wine estate can enjoy tastings of the wines produced on the farm, as well as highly popular Creole-inspired dinners hosted by Iris, with each dish paired with a Rhône varietal from the estate. Growing in prestige and acclaim over the past fifteen years, Rideau Vineyard remains dedicated to a small production and no distribution. Bethania Lutheran Church was completed in 1928 for the Danish-American Lutheran congregation that settled in Solvang. The building was designed to resemble a typical rural Danish church with a model of a ship hanging from the ceiling in the sanctuary. The ship serves as a symbol of a safe haven that church offers on the turbulent sea of life. 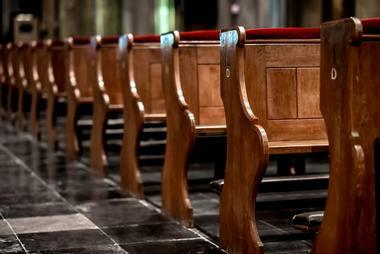 Jes Smidt from Luck, Wisconsin crafted the beautiful woodwork you can see today at the altar, baptismal font, pulpit, altar railings, and pastor’s chair. The church is rich in beautiful statuary and religious art and is considered the most authentic replica of Danish architecture in Solvang. In the heart of Santa Ynez Valley lies Quicksilver Ranch, which is known as the horse breeder's “Kentucky of the west.” It is here that Aleck and Louise Stribling breed show quality miniature horses. The ranch is snuggled between rolling hills between Solvang and Ballard and shaded by majestic old oaks. It is a lovely place to visit with the kids. The horses are tiny but powerful and strong, very gentle, and good-natured and will come to the fence to allow kids to pet them and feed them. Some are as small as dogs but can pull a cart many times their size. 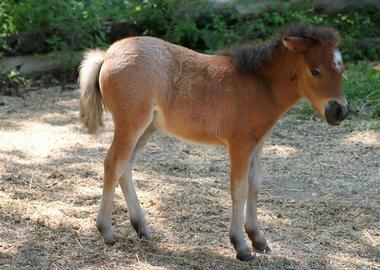 Quicksilver Ranch continues to produce several national champions every year and annually has a small number of foals. Come in June to see gangly babies with their wobbly long legs stick close to their mothers. Minis make lovely pets, so think about a very special birthday present for your young one. Lucas & Lewellen Vineyards is a world class winery based in Solvang, a quaint Danish village near Santa Barbara. 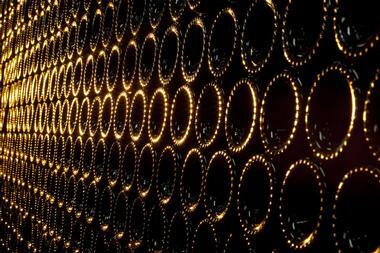 The winery relies on grapes from their 400-acres estate in Santa Barbara. They produce three major labels of wine, and have two charming, popular tasting rooms in Solvang. 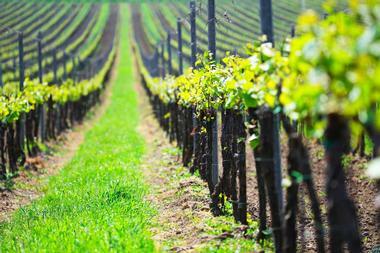 Lucas & Lewellen Vineyards sell their wines in twenty five states and fourteen countries. Visit their tasting room in downtown Solvang to fully experience Lucas & Lewellen wines, which include full-bodied reds, refreshing whites, popular port, and, of course, sparkling wine. It is very likely that you will be served by the owners Royce Lewellen and Louis Lucas who love to talk about their wine and entertain visitors with stories about wine making life and the secrets of making great wines. Winemaker Dave Dascomb will tell you that exceptional wines are made by using established farming practices, having a lot of patience during harvest, and having a lot of passion for making wine. 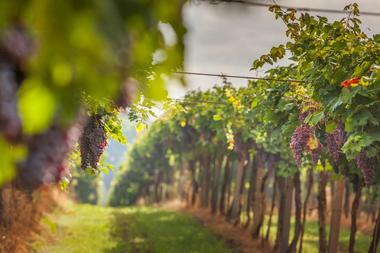 He is evidently doing something right, since Dascomb Cellars boutique winery is thriving. The winery’s estate vineyard East Valley Vineyard was established in 1974 and is among the oldest in Santa Barbara County. You can taste Dascomb label at their charming, old-fashioned tasting room in downtown Solvang. The warm interior creates a cozy club atmosphere, and people tend to linger over their wines especially when they are paired with just the right cheeses. Dascomb tasting room participates in Solvang’s famous Third Wednesday festival’s Wine and Beer Walk.